Winding Ways, an Active Adult community in Jackson, NJ. Call 732-616-6226 when you’re ready to see homes in Winding Ways. 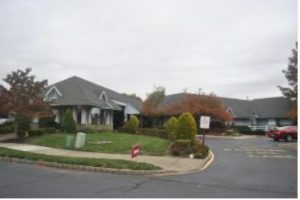 Winding Ways is an Active Adult, 55+ Over 55 community in Jackson, NJ. It has a great location in northern Jackson because it’s minutes away from shopping on Route 9. Additionally, there are three major malls within 30 minute drive. Route 195 provides easy access to the east and west, while the Garden State Parkway is near. Shopping can be found on Route 9, starting in Lakewood and continuing north, also on Route 70 in Brick. Additionally, there is a wide range of dining choices in the area. Enjoy local activities such as fishing, boating, shopping, dining and much more in the area. Winding Ways consists of 495 single family detached homes. Set in a peaceful wooded area, the homes were built between 1988 and 1997. The homes have either 2 or 3 bedrooms with 2, 2.5 or 3 baths,. And, all come with 1 or 2 car garages. Houses generally have between 1200 sq ft and 1800+ sq ft. Some of the homes have a fireplace, while some have a loft. Further, some homes have a basement. The homes are heated with natural gas. Winding Ways is indeed, a gated community. There’s a homeowners association, therefore a monthly association fee will be assessed. Since the monthly maintenance fee includes lawn care and snow removal, those chores are someone else’s problem. In addition, your pets are welcome. Winding Ways has a 15,000 square foot club house. Consequently, there’s plenty of room for activities or to meet with friends. Use the library, play billiards, bocci or just visit with friends. When the weather gets warm, the large pool is the place to be. Also, there’s an exercise area for those who want to stay in shape. There’s a ballroom for social events, card rooms and hobby rooms. There are many clubs and activities in Winding Ways to keep you busy and involved. While Greenbriar Winding Ways doesn’t have a golf course, there are many courses available in Ocean County. When you’re ready to either buy or sell a home in Greenbriar Winding Ways, contact us. Call Bunny and Art Reiman – the Active Adult Community Specialists. Looking for info on recently closed homes in Winding Ways?